We buy houses Woodland CA! Have you been thinking “I need to Sell my house fast in Woodland CA”? Do you have a house in the Woodland, Ca area that you are looking to sell without any hassle or uncertainty? If so, we’d love to buy it – FOR CASH! we’ll provide you with written cash offer in 24 hours, no matter what the condition of your house or the location. Tried other ways to sell your Woodland house that didn’t work? Many people think Realtors are the only way to sell their house. Whereas that may be the traditional means, for typical situations, sometimes you may need a different approach. You may have already tried selling through a Realtor, but got bogged down. That’s where I come in. I can make selling your Woodland house easy. – Unlike the traditional method of selling a house, where an agent puts a sign in your yard, and hopes someone will want to buy your house. – I actually buy houses. I buy Woodland houses in their current condition. Why does that matter you ask? Because you don’t have do do any repairs. We’re local and have several rentals in Sacramento and Woodland area we are looking buy more houses. My offers are often very close to what you would net from a Realtor if you were to do the repairs yourself. Save yourself the time and the money. Are your tenants changing their oil in the living room of your rental? Too many broken down cars in the yard? Has the City of Woodland’s code enforcement department been calling you? – Let me deal with code enforcement. I’ll buy your house with your tenant in place. You don’t even have to tell the tenant that you sold the place if you don’t want to. 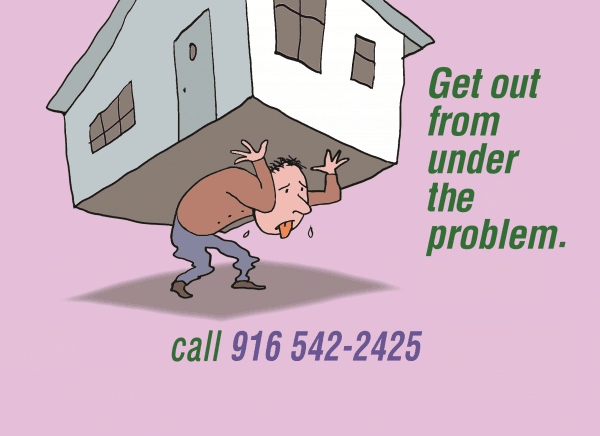 Do you have an unwanted house in Woodland you want to sell? Have you inherited a house you can’t afford to keep or take care of? Are the repairs getting out of hand? Are repairs slowly stealing money from your dream vacation fund? – We’ll buy your house in it’s present condition so you won’t have to make any repairs. Have you had to move out of town and leave your property to someone else to manage? We can help – we love buying homes in Woodland! Selling a house the traditional way often involves stacks of paperwork that need your signature, and that only protect the real estate agent. – I’ll give you a written, simple, one page offer to buy your Woodland house. If we agree on a price, I will wire the entire purchase amount directly into the escrow office and we can close quickly or at a time that works for you. I promise to make the entire process easy using my four simple steps to help you quickly sell your house. No obligation – If my offer doesn’t work for you, just say “no”. Really. We’ll shake hands and still be friends. No buyers getting cold feet – I’ve bought scores of houses. I’m not going to get nervous and bail at the last minute. No waiting for a bank’s final approval – Skip worrying if the buyer will actually be able to get their loan. I buy the old fashioned way – CASH. Trusted Title Companies – We used recognized, local Sacramento title companies -Stewart Title Company, Placer Title Companies. Live out of town? Not a problem. We also use First American Title who is nationwide for our out of town clients. If needed, we can even have a mobile notary meet at your location for any papers you may need signed.